Σε αυτό το topic μπορείτε να συζητάτε για το Playstation Network και για τις απορίες σας που αφορούν την σύνδεση του PS3 στο Internet, τις υπηρεσίες της Sony κ.ο.κ. - Αν έχετε ασύρματο router δεν χρειάζεται να κάνετε κάτι (δείτε το μοντέλο του router και ψάξτε στο Internet. Τα περισσότερα πλέον είναι ασύρματα). - Αν δεν έχετε ασύρματο router ή αν θέλετε καλύτερη ποιότητα σύνδεσης, τότε χρησιμοποιείτε καλώδιο δικτύου. Το συνδέετε απ' το πίσω μέρος του PS3 στο router ή σε ενδιάμεσο Hub. Το Hub είναι η συσκευή που παίρνει Internet απ' το router μέσω καλωδίου και σας επιτρέπει να συνδέσετε πολλά καλώδια δικτύου πάνω της. α)Πηγαίντε στο Settings -> Network Settings -> Connection Settings List και σημειώνετε απ' τη λίστα το Mac Address. β)Ανοίγετε στο PC έναν browser και γράφετε την διεύθυνση του router σας (σε μένα είναι 192.168.2.1) και πατάτε Enter. Αν δεν είναι αυτή ρωτήστε τον provider σας. γ)Απ' το μενού αυτό κάπου θα δείτε να λέει LAN -> DHCP Client List. Άνοίξτε το κι εκεί θα δείτε την λίστα με τις IP. Προσθέτετε μια νέα που να μην υπάρχει (π.χ. 192.168.2.14) και στη Mac Address βάζετε την διεύθυνση που είδατε πριν. δ)Πηγαίντε Settings/Network Settings/Internet Connection Settings. Μετά πατάτε ΟΚ και Custom. - ΙP Address: Manual κι εκεί βάζετε την IP Address που δώσατε στο γ. (π.χ. 192.168.2.14). Default Router: 192.168.2.1 (αυτή που θα σου ανοίγει στον browser τέλος πάντων. Πατάτε X κι είστε έτοιμοι. 1. Απ' το κεντρικό μενού της κονσόλας επιλέξτε Settings/Network Settings/Settings and connection status list. 2. H IP του PS3 αναγράφεται στο πεδίο "IP Address". 1)Ανοίξτε το PC σας και μπείτε στο κεντρικό μενού του router πληκτρολογώντας την διεύθυνση 192.168.2.1 (προσοχή: σε κάποια router διαφέρει, ρωτήστε στην τηλεφωνική εξυπηρέτηση του παρόχου Internet που έχετε). 2)Στα μενού του router θα αναγράφεται κάπου η κατηγορία "NAT". Κάντε εκεί και μετά πηγαίντε στο "Virtual Server" ή "Port Forwarding" (ή ένα ανάλογο όνομα). θα σας εμφανιστεί ένας πίνακας στον οποίο θα μπορείτε να εισάγετε IP και να ορίζετε αν θα είναι UDP ή TCP. 3)Τώρα μπορείτε να ανοίξετε ports ("θύρες") στο router σας. Απλά εισάγετε την IP του PS3 σας (αν την ξεχάσατε δείτε παραπάνω πως θα την βρείτε) και στη συνέχεια τον κωδικό της port που πρέπει να ανοίξετε όπως επίσης και διευκρίνιση για το αν θα είναι TCP, UDP ή και τα δύο. Τις πληροφορίες αυτές τις βρίσκετε με μια απλή αναζήτηση στο Google. Δείτε για παράδειγμα τι ισχύει με το Pro Evolution Soccer . Q: What is the target demographic of Home users? and diverse community of users. Q: How do consumers use it? PS3. It will reside on the XMB between Game and Network. personal avatar, creation and customisation of your own personal space. Ability to share media with friends, and to experience media from publishers. seamless transition between game and Home. Q: What is the function of the Central Lounge? arrange to meet old friends, before transferring to a private meeting place. lobbies can be active at any time to accommodate all users. Q: What other lobbies will exist within Home? publisher, a developer or a Non-game Company. Q: What is the Hall of Fame? Q: How do I win Trophies? on how to develop trophies within games will be available soon. Q: What content will users be able to purchase from within Home? transact within the Home environment. Q: Will I be able to attend ticketed (paid-for) special events? concerts may also be broadcast within Home. Q: Can Home users win non-purchased prizes and items? Yes, it will be possible to give prizes to users. Q: Will all billing have to be via Sony Wallet? although ultimately transactions will be possible without leaving Home. Q: When can users have / manage their own spaces? Q: Is Home a commercial environment? significant revenues from the Home platform. Q: When can I start to develop for Home? Q: Who should I contact about developing for Home? find more information and an application to register your interest. get involved in developing content for Home? Q: How soon can publishers and developers have and manage their own spaces? Q: When can IP holders have / manage their own Home Spaces? appropriate representative will follow up your enquiry. Q: What support will SCE give to 3rd Parties? application to register your interest. Q: Who should our developers call for support? Q: Who will run Home? strategic direction and support to each of the SCE regional headquarters. to play their games rather than spending all their time in Home? or to re-publish an old IP as mini-game within their Home Space. 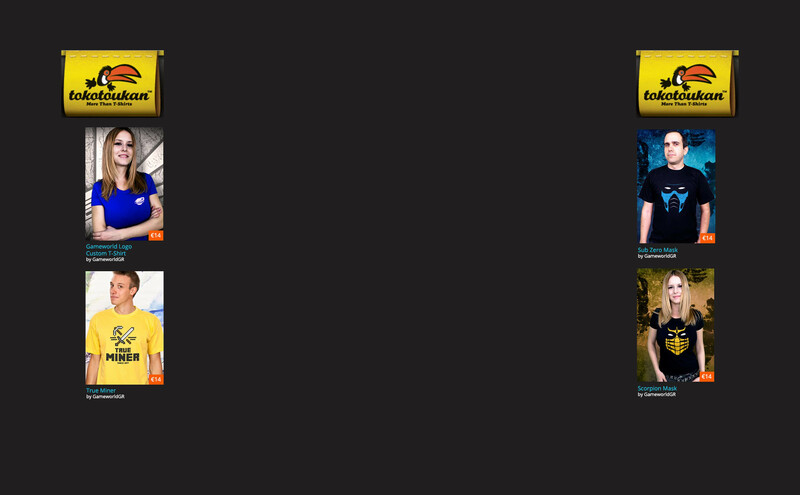 Q: Is Home just a platform for SCE-published games? announce the details in due course. Q: How will publishers make money from it? as a Home content provider? are surprisingly low and entirely scaleable. Q: How will businesses be able to promote their products? our partners in their creative endeavours. Q: Could publishers sell tutorials to their games through Home? partners to assist them with their Home Platform content creation. Q: Can we reserve a number of seats for the closed & open betas? Home Platform representative will contact you shortly. Q: How large is the download? Q: How do users find friends and spaces within Home? There is an integrated PSN Friends list, and search functionality for spaces. Q: How many friends can I have? 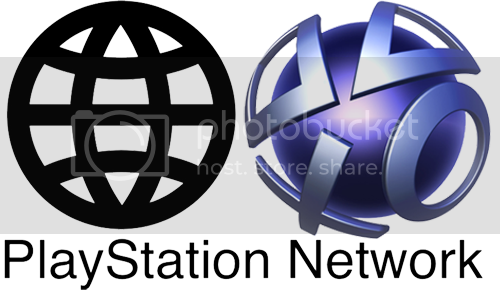 As many as the PSN friends list allows, which is currently 50.
their Home assets and user-created content to other users. Q: How often will the content in Home change? new features will be will on a weekly basis. Q: Can I create new items and content for Home myself? content as a very important element of Home's ongoing success. Q: How will users transact within Home? During the Beta period, there will be no purchases within Home. Subsequently, commercial transactions will take place within Home. having to travel to the specific MotorStorm™ lobby? will be able to exit to Home directly from the game. Q: How often is incremental content being created for Home? will be available for a limited time. Q: Will consumers be bombarded with advertising? Q: How will I protect my kids from seeing things they shouldn’t? Parental controls are available through PS3 and the PLAYSTATION Network. has access to an open communication network, such as the internet. Q: How will age restrictions be applied? Q: What’s the development overhead? Q: How quick and easy will it be to develop for? while running Home, and certain TRCs will need to be satisfied, yes. will these TRCs be released? service hits the XMB™. Others will come online as they are needed. network ID. E.g. PSN account = PeterE / Home name = Tarzan123? Your Home user name will be the same as your PSN account ID. Q: Can I log on to Home in addition to someone else from one PS3? E.g. Q: How will I navigate between spaces? content in the generic lobby depending on my age? areas that users are admitted to and the content that they are able to view. people next to me? Will I return to a default location? Home, and expect to implement it in the long term. Q: Can I get media for my apartment from other devices such as PC? Q: How will the DRM of purchased items work? Q: Will I be able to give a purchased / earned item to another user? Not yet; however it is a feature which is planned. this opens up serious risks of piracy and sharing of illegal content. Q: How many lobby instances can be run? Q: Could the global Hall of Fame be filtered by region? Q: What is the policy on acceptable behaviour? behaviour. Home uses all the same age controls as the PS3 system software. in their own apartment is their own business, within reason. Q: Will users be able to make complaints about other users? away a user's login rights and ban them from the service. space until they have accepted an invitation to be on their buddy list. We will have a basic text profanity filter. Q: Will users be able to sell things to each other? Q: Can I earn money in Home? Q: Will retailers (e.g. GAME) be able to have a presence in Home? Q: Can we use advertising within it? be implemented, allowing us to direct specific targeted ads at particular users. Q: Are all games required to have trophies available for Home? appeal for games that support the trophy system. Έχω ένα πρόβλημα με τις ρυθμίσεις. Τι κάνεις στην περίπτωση που έχεις ασύρματο modem? Καλησπέρα..... Εχω πάρει ενα ps3 κ θέλω να μπω online, έχω μια σύνδεση conn-x 768 ,έχω πάρει καλώδιο ethernet τα έχω συνδέση κ προσπαθώ να μπώ στο ps-network αλλά δεν με αφήνει.Κάνω to τεστ connection κ είναι όλα OK(και IP μου δίνει κ μου λεει ότι υπάρχει σύνδεση με το internet) αλλά στο ps-network δεν μπαίνω,μου βγάζει ένα μήνυμα "80710B23". Brand-new PSN title PAIN is all about launching characters into scenery from a gigantic catapult – and we’ve got a whole gang of human slingshot-fodder for you to send flying. Fast-food restaurant mascot Ed ‘T-Bone’ Haulstein and extreme sports jock Jarvis come with the game – but, once you’re done firing them, you can download latex-gloved nurse Ginger, one-legged pirate Scurv Dogg or his ninja nemesis Hung Lo, surgically-augmented Cookie, air-headed cheerleader Muffy – and a down-and-out Santa. Pull them back and watch them fly – the first extra character packs will coincide with the release of the PSN title this March. Σε αυτό το topic μπορούμε να γράφουμε όλοι νέες προσθήκες που είδαμε στο Playstation Store από demos, add-ons και γενικά ότι DLC κυκλοφορεί. Θυμίζω ότι στις 17 Απριλίου θα βγει η beta του Metal Gear Online. Ως καινουργιος και πανευτισχης κατοχος του Ps3 κατεβασα απο το Playstation Store ενα πολυ ομορφο wallpaper απο το Resident evil 5.